There are great dealmakers. There are fashionistas. And then there is Faith. Recognized worldwide as the "Queen of Retail," Faith Hope Consolo is renowned for her expertise as a consultant and retail broker who has been instrumental in revitalizing and sculpting retail corridors across the nation -- and beyond. The sheer volume, size, and distinction of her transactions, combined with her exceptional experience in a global array of retail markets, have set a high standard among real estate specialists. As Chairman of Douglas Elliman's Retail Group, Ms. Consolo is responsible for the most successful commercial division of New York City's largest residential real estate brokerage firm. Her understanding of the industry and expertise of the retail landscape enable her to strategize with retailers throughout the country, from unveiling national expansions to the debuts of flagship stores in locations spanning global capitals to suburban power centers. She and her expert team know that style knows no price point. The result is an extensive client base that includes such top-tier fashion, jewelry and beauty names such as Alexis Bittar, Alice + Olivia, AYR, Benefit Cosmetics, Bond No. 9, Buccellati, Bulgari, CADAR, Cartier, Bruno Magli, Christian Louboutin, Fendi, Ferragamo Fogal, Fresh, Giorgio Armani, Jimmy Choo, Manolo Blahnik, Michael Boris, Paul Morelli, Perrin Paris, Peter Millar/Richemont Group, Robert Clergerie, Robert Marc, The Daily Edited, Thierry Rabotin, Versace, Yves Saint Laurent, as well as globally based mass merchandiser Zara. Her diverse base also encompasses private and public investors, entrepreneurial owners and developers with significant portfolios or single assets. 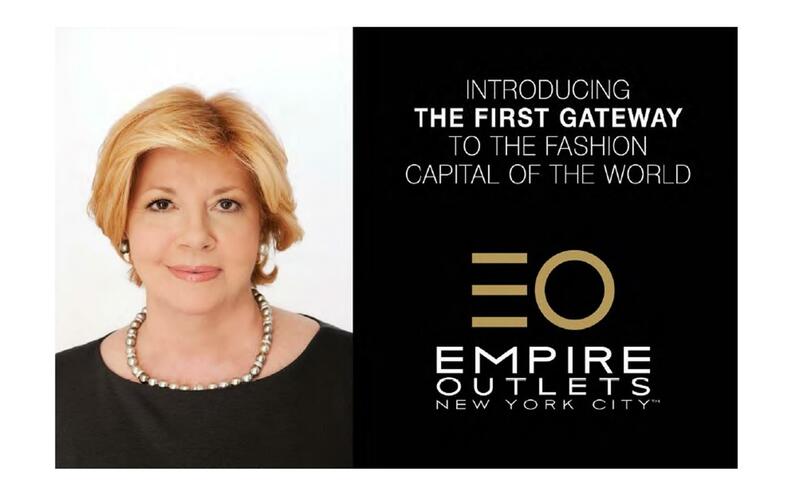 She was the sole retail consultant to the Economic Development Corporation and at the center of the revitalization of Times Square and Penn Station. She has also been a key player in Fifth Avenue's return as the "Luxury Walk" and Madison Avenue's once again achieving its glitter as the "Golden Mile." As an industry mentor, Ms. Consolo has taken leadership roles on behalf of the Commercial Real Estate Women network, Association of Real Estate Women and International Council of Shopping Centers. A recent recipient of Mercy College's Trustee's Medal, she has also actively helped such worthy causes as the New York City Opera, Citymeals-on-Wheels, The American Heart Association, Women in Need, Dress for Success, and the Association of Real Estate Women Charitable Fund. With a far-reaching proficiency as an author, advisor, roundtable leader and speaker, mentor and dealmaker, Consolo has a keen insight on fashion's retail landscape, from regional trends and influences, to global shifts and the revitalization of retail corridors domestically and abroad. She authors a quarterly compendium on New York City for the real estate industry, known as the The Faith Report and also publishes a semi-annual national edition. Her popular blog, The Faithful Shopper appears bi-monthly in the prestigious Huffington Post, the Faithful Fashionista appeared in Scene Magazine, her Faithful Food column for Total Food Service, and her newest Scene on the Street series highlights specific areas and neighborhoods. She is a frequent guest on news programs on CNBC, CNN, NY1 and Fox Business News and her columns appear in a multitude of publications such as Real Estate Weekly, New York Real Estate Journal and Real Estate Forum, among others. In addition to the many awards she has received over the years, Douglas Elliman Real Estate has presented her with Top Retail and Commercial GCI honors every year since joining the firm in 2005. She has been given Chairman's Club status every year since 2006 and has received consecutive Pinnacle Club Awards from 2009 to 2012. Honored every year from 2006 as "Top Retail and Commercial Agent - GCI," she received the coveted Diamond Award in 2011 and given "Legend" status the following year.